30 Days Till Opening Day! 60 Days Till Opening Day! Your home-away-from home could be a slice of paradise on Shuswap Lake! 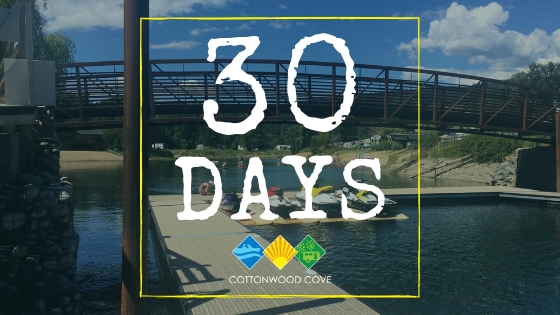 Cottonwood Cove could turn your dream of owning a lakefront vacation property into a reality! There are many benefits to purchasing a lot in an RV resort- especially when it offers affordable luxury. Not only is it more reasonable than purchasing a vacation home or cabin, but there are several amenities and activities to take advantage of. You can rest easy knowing that your property is well-maintained by on-site management and security staff. With amenities like an onsite marina, boat launch with 40+ boat slips, clubhouse and restaurant, convenience store, water sports rental shop, outdoor pool and spa, laundry facilities, washrooms and showers, this luxury RV resort offers the sort of comforts that most people associate with 5-star hotels rather than RV camping. And of course, we offer essentials like full hookups and WiFi. 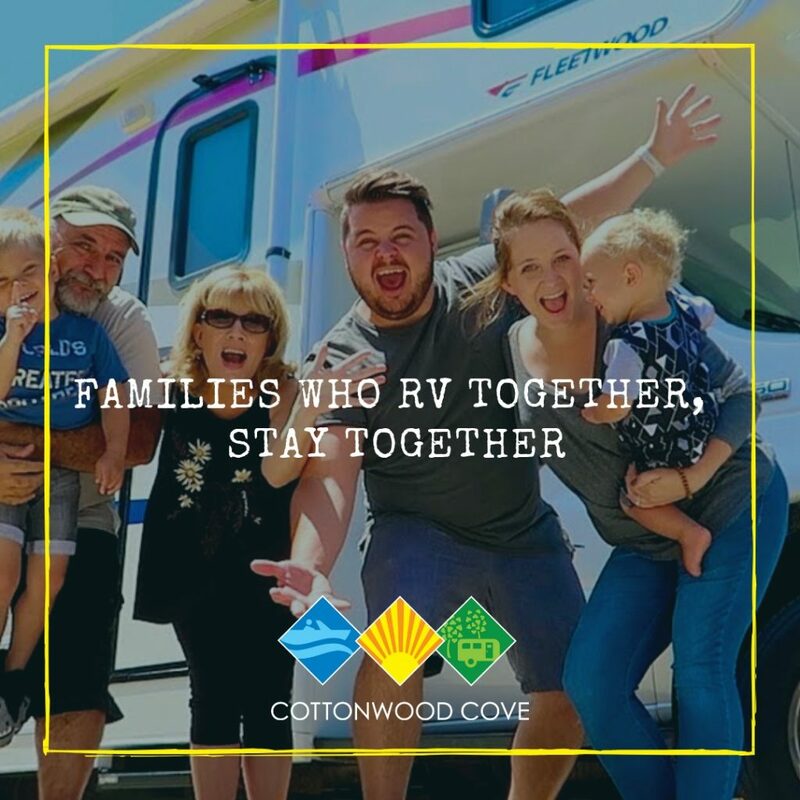 For those who enjoy meeting new campers within the Cottonwood community, there are many ways to get to know your neighbours at Cottonwood Cove including special events that the management puts on throughout the summer for campers of all ages. Check out the Events Calendar once the season opens to learn more about upcoming activities this summer. There is also a tab to pre-register for events. If you would like to try before you buy, we recommend that you make a reservation in advance as sites fill up fast! Please use our on-line reservations system to make a booking now. 2604 Squilax-Anglemont Road, Lee Creek, BC. Just 10 minutes off the Trans Canada Highway. SALES CENTRE OPEN BY APPOINTMENT! Our onsite sales centre will re-open in early spring and will be available for private appointments. If you are planning a visit for the upcoming camping season we will book a specific time for you. photos, pricing, sizing and more! 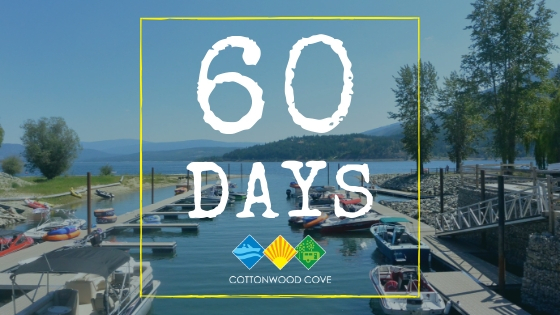 Dreaming of booking your 2019 camping trip? New website coming soon!